Our ever popular Jack the Joker fundraiser continues this Sunday night in Alice O’Connor’s Bar where the jackpot is €6,600. On Sunday night last Ben O’Donovan was drawn out and chose card number 39 which wasn’t the Joker although he did win €50. Brian Byrne and Seamus Corcoran won €25 each. As well as our group of ticket sellers tickets can be purchased from Convenience Store Ballinroad, Village Flowers, Spar, Mousies Takeaway, Minnies Bar and Crotty’s Corner Bar. On Saturday evening last we defeated Ballyduff in Lismore in round 2 of the County Hurling League. TEAM: S. DALY, S. O’DONOVAN, E. COLLINS, B. LOOBY, M. POWER, S. O’HARE, C. KINDREGAN, D. COLLINS, R. FOLEY, M. O’HALLORAN, E. ENRIGHT, P. HURNEY, S. CLIFFE, M. GORMAN, J. DUGGAN. We would like to wish Stephen Enright the very best of luck in his travels as he departed for Boston last weekend and he will be an undoubted loss to both of our senior teams in the coming months. Our Club Bingo will continue this Sunday night in the CBS Hall where the jackpot is €1,450. The April Deise Development Draw took place on Friday night last and we had one winner on the night as Sharon Power won €3,000 which was sold by Peter Flynn. After several weeks of football we went back to hurling. On Thursday night (23rd) Lismore came to Abbeyside for a challenge match. On a lovely evening our lads showed some rustiness but battled away against a good Lismore team. We look forward to the return match when we'll have a lot more hurling done. Then on Saturday just gone (25th) we travelled to Carriganore for a hurling blitz. We played 3 games, the first against De La Salle, where the boys came out on top. Up next was Clonea, although we lost this one the boys were quick to point out that we actually won (unfortunately Clonea were short three and fair play, 3 of our boys agreed to play with them) Last up was Ballygunner and this ended in a draw. The game with Lismore definitely stood to us going to Carriganore. A good morning's hurling was had by all and thanks to the parents who travelled. Training continues every Friday evening and we'll look to step it up a bit as we prepare for the annual U10 Ballyduff Tournament at the end of May. Panel for both days was: Ethan, Cormac, Jake O, Jake F, Sean W, Sean Q, Jack, Sam, Darragh W, Darragh C, Kieran, Jamie, Conor, Brian, Fionn, Cathal, Daniel and Billy. Our minor football team play the last round of their league fixtures tonight (Wednesday) at home against Dungarvan. It would be great to see a large turnout out shouting on this fine team. We lost out by a point to The Nire in the Under 13 Football Championship on Tuesday night of last week at the Millfield. All the boys played very well on the night and were unlucky in defeat. 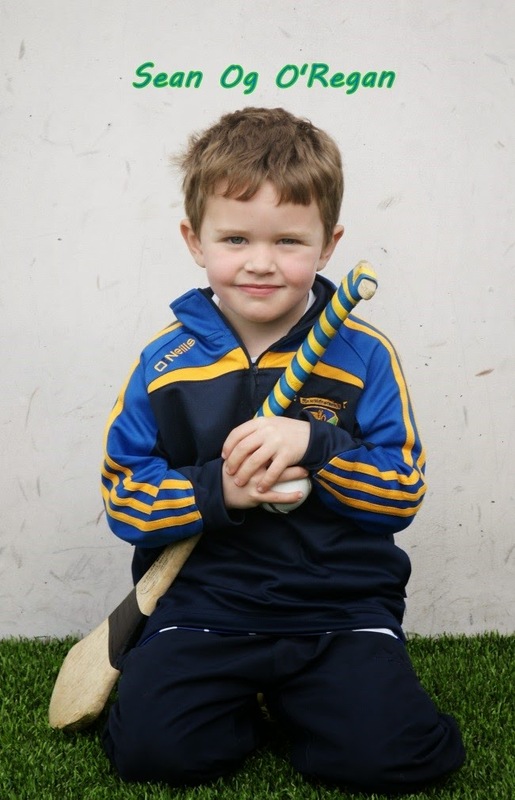 Our outdoor hurling sessions continue again on Saturday morning the 2nd May at our club grounds. These sessions will include under 6, 7 and 8s and will run from 10.30 to 11.30. Our under 9 team will train between the time of 11.30 and 12.30 at our wall ball. All are welcome to attend and it would be great to see some new faces. Helmets will be available to buy at a discounted rate at these sessions. Last weekend, our U14 footballers won the County Féile title for the third year in succession. 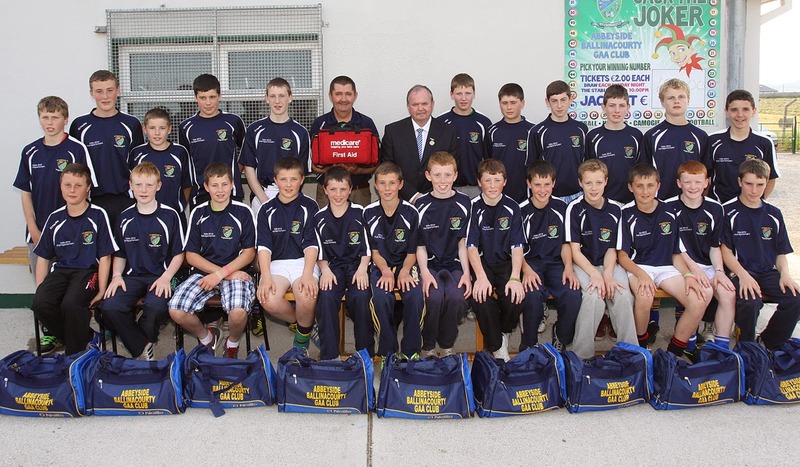 This week's photo comes from 2013 and shows GAA President, Liam O'Neill on a visit to the club grounds where he presented that year's Féile panel with their kit bags and gear for the national finals in Limerick (Hurling) and Donegal (Football). Our ever popular Jack the Joker fundraiser continues this Sunday night in Alice O’Connor’s Bar where the jackpot is €6,400. On Sunday night last Bridget Moore was drawn out and chose card number 4 which wasn’t the Joker although she did win €50. Coleen Power and Michael O’Sullivan won €25 each. As well as our group of ticket sellers tickets can be purchased from Convenience Store Ballinroad, Village Flowers, Spar, Mousies Takeaway, Minnies Bar and Crotty’s Corner Bar. On Saturday evening last we recorded our second victory in the County Senior Football Championship when we defeated De La Salle in Walsh Park. TEAM: S. ENRIGHT, D. COLLINS, S. BRIGGS, E. BERGIN, B. LOOBY, S. O’HARE, D. HENLEY, J. HURNEY, C. MOLONEY, P. HURNEY, M. FERNCOMBE, M. O’HALLORAN, S. O’DONOVAN, G. HURNEY, M. FIVES. We played Ballinameela in the second round of the Western Championship in Bushy Park where after an entertaining game of football we were unfortunately defeated by one point. TEAM: R. RYAN, C. McCARTHY, M. LAVAN, J. RYAN, M. POWER, P. LYNCH, C. KINDREGAN, M. MAHER, E. ENRIGHT, E. COLLINS, M. GORMAN, N. DEE, S. CLIFFE, J. O’BRIEN, D. FERNCOMBE. Our Junior Footballers got their Western Championship campaign off to a winning start on Friday night last as they defeated Colligan in Bushy Park. TEAM: D. ENRIGHT, C. DWYER, J. FITZPATRICK, P. BERGIN, S. O’GORMAN, J. ORGAN, P. COLLINS, D. MORRISSEY, D. SWEENEY, S. O’CONNOR, D. HICKEY, R. PROCTOR, M. COLEMAN, C. O’CONNELL, M. FLYNN. This Sunday we are due to play Ballyduff Upper in Ballyduff at 2pm in the County League. We would like to wish the Waterford Minor Footballers especially Conor Prunty, Kevin Dwane, John Elstead, David Looby, Conor McCarthy, Neil Montgomery, Eoin Kiely and Darragh McGrath the very best of luck ahead of their Munster Championship game against Limerick this Wednesday night. We also wish Gary Hurney the very best of luck in his role as team coach for the match. The under 14 players had a great win on Saturday against the Gaelteacht in the Feile Final with a final score line of 3-08 to 2-3. Conditions were tough in the first half as we played against a strong wind. We scored two early goals through our full forward Daniel Raher. Our full back line of Patrick Fitzgerald, Michael Troy and Sean Roche played well and dealt with the high ball well. Ring came back at us before half time and it was all level at the break. We began well in the second half with our half forward line of Oisin Hallahan, Darragh Slevin and Cian Riardon playing well, with a great goal by Cian. We continued to defend well with half back line of Colin Foley, Alec Norris and particularly Eoin Aherne playing very well. Our goalkeeper played well and wasn't at fault for any of their goals. Our midfield partnership of Rory Ahearne and Senan Travers got really on top in the second half and played some great ball into the full forward line of David Shields, Daniel Raher and David Hayes This was a good team performance with Ben O’Donovan, Daniel Treen, Eoin Flynn and Jamie Moylan also impressing, and also Tony Dwyer, Calum Beresford, Cathal Cosgrove were part of the squad. The lads now have a wonderful weekend away to look forward to in late June, something they will remember for the rest of their lives. We wish a speedy recovery to Michael Kiely, Niall Buckley and DJ Kiely who are presently on the injured list. On Friday night last we took on county champions the Nire and after playing well in this game we came away with victory. Well done to all. 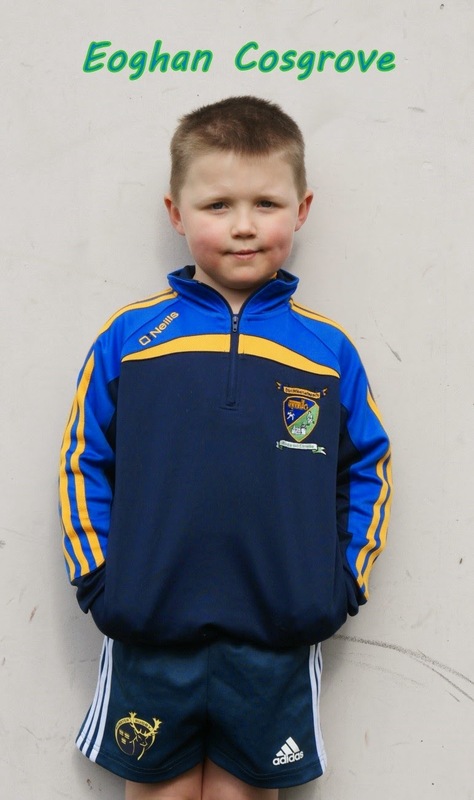 The under 8s travelled to Carriganore on Saturday morning last to take part in a blitz. We had two teams involved and both teams played three games each. All the training at home and in the field is paying off as some great hurling was played by all. A big thank you must go to all the parents who provided transport on the day. It is back to the field this Saturday morning at half past ten for training and of course new members are always welcome. 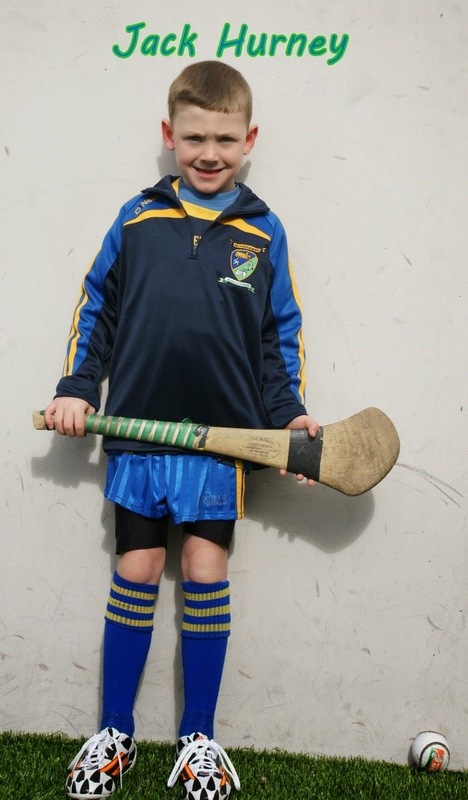 Our outdoor hurling sessions continue again on Saturday morning the 25th April at our club grounds. These sessions will include under 6, 7 and 8s and will run from 10.30 to 11.30. Our under 9 team will train between the time of 11.30 and 12.30 at our wall ball. All are welcome to attend and it would be great to see some new faces. Helmets will be available to buy at a discounted rate at these sessions. 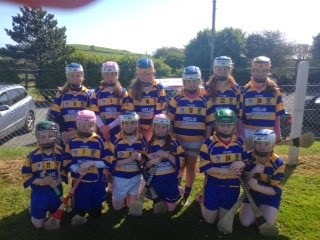 The Abbeyside U12 Camogie players travelled to the well presented An Rinn venue where the first blitz of the year was played in glorious sunshine. The girls played 3 games on the day against An Rinn, Brickeys and Dungarvan. The girls competed well in all of the games with the skills improving as the games went on. Well done to all of the girls who played excellent Camogie throughout the day. Thanks to all parents who assisted in ensuring all of the girls had transport to the venue. Thanks to An Rinn for the excellent hospitality as always. Go raibh maith agaibh. The next U12 blitz is Saturday May 02nd in Abbeyside. We would like to wish Moya a speedy recovery from a recent injury. Panel for the day: Laura Morrissey, Laura Murray, Megan Foley, Hannah Walsh, Aoibheann O Grady, Emma Byrne, Emma Reynolds, Ellen Power, Cliodhna Roche, Kaia McGovern, Heather O Reilly, Caoimhe Ni Mhurchu & Lauren Maher. Training continues every Friday evening from 17:00 to 18:00 in the Abbeyside field. Congratulations to our U14 football panel and management team on their fantastic 3-8 to 2-3 victory over An Ghealtacht in today's County Féile Football Final played at Fraher Field. This is the third year in succession that our club has won the title and the team will now go on to represent the county in the National Féile Competition at the end of June. Back Row (L to R): R. McGrath, F. Condon, S. Whelan, F. Needham, J. Murphy, C. Fives (background), P. Breen, A. McGovern, T. Leahy, J. 'Hank' Regan, G. Crotty (background), L. Waters. Front Row (L to R): B. Keohan, R. Cashin, P. Enright, M. Kelly, J. Breen, P. Langan, T. Kiely, N. Browne, W. Brett. Seated (L to R): A. Cashin, D. Egan. This week's photo shows the Abbeyside N.S. 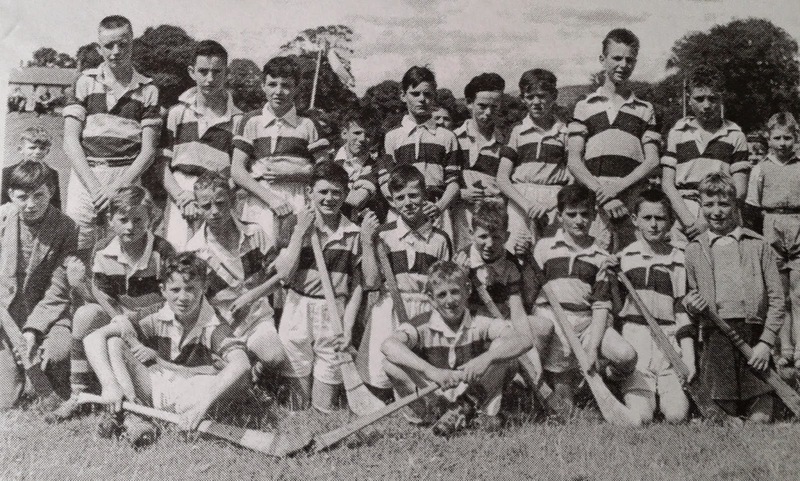 team that won the Sheehan Cup in 1957, the premier primary schools' hurling competition of that time. They defeated Ballygunner in the final played in Dungarvan, thereby securing the school's second victory in this prestigious tournament. Our ever popular Jack the Joker fundraiser continues this Sunday night in Alice O’Connor’s Bar where the jackpot is €6,200. On Sunday night last Jackie Power was drawn out and chose card number 29 which wasn’t the Joker although she did win €50. Mike Briggs and Grace Gannon won €25 each. As well as our group of ticket sellers tickets can be purchased from Convenience Store Ballinroad, Village Flowers, Spar, Mousies Takeaway, Minnies Bar and Crottys Corner Bar. On Sunday afternoon we won our first game of the County Championship against Rathgormack in Fraher Field. This Saturday evening we play De La Salle in Walsh Park in our second game at 7pm. TEAM: S. ENRIGHT, D. COLLINS, S. BRIGGS, E. BERGIN, B. LOOBY, S. O’HARE, C. MOLONEY, J. HURNEY, C. PRUNTY, P. HURNEY, M. FERNCOMBE, M. O’HALLORAN, S. O’DONOVAN, G. HURNEY, M. FIVES. We played Ballyduff Upper in the opening round of the Western Championship in Colligan on Sunday night last and came away with a good win. This Saturday we play Ballinameela in Leamybrien at 3:30 pm. TEAM: R. RYAN, D. HENLEY, M. LAVAN, J. RYAN, M. POWER, P. LYNCH, C. KINDREGAN, M. MAHER, R. SHEEHAN, E. COLLINS, M. GORMAN, D. LOOBY, T. MURRAY, J. O’BRIEN, D. FERNCOMBE. SUBS: R. DUNFORD, S. CLIFFE, C. McCARTHY, D. POWER. After a break for a number of years our Junior Football team will once again compete in the Western Championship this year and they open their campaign on Friday night when they take on Colligan in Bushy Park at 7:30 pm. It was great to see John Phelan home from Australia for a short visit last weekend where he took up “maor uisce” duties at our Championship game against Rathgormack. John was a huge loss to our club when he emigrated to Australia some years ago but it was fantastic to hear that he and his family are enjoying their time in Australia and we hope that it won’t be too long before we see “ Fee Fee” back to visit us again soon. We would like to wish the Waterford Minor Footballers especially Conor Prunty, Kevin Dwane, John Elstead, David Looby, Conor McCarthy, Neil Montgomery, Eoin Kiely and Darragh McGrath the very best of luck ahead of their Munster Championship opener against Tipperary in Thurles this Wednesday night. We also wish Gary Hurney the very best of luck in his role as team coach for the match. Our Club Bingo will continue this Sunday night in the CBS Hall where the jackpot is €1,350. Our under 14 footballers took on Rathgormack over the weekend and came away with a victory on the day. They have now qualified for the Feile final. 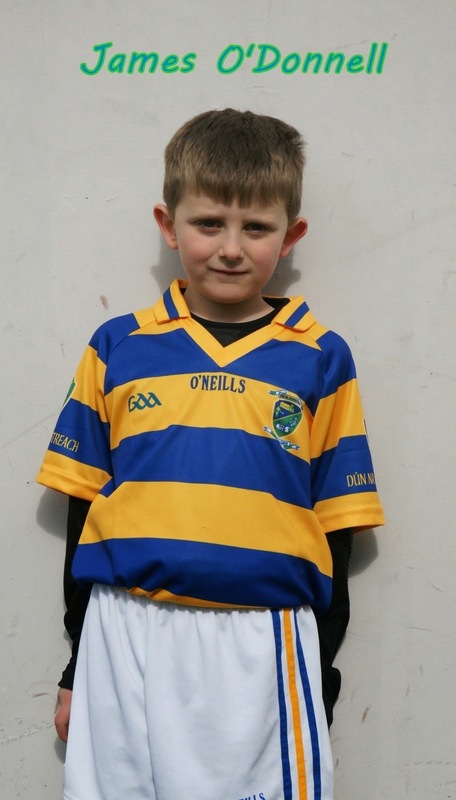 Our under 8 team are travelling to Carriganore this Saturday morning to take part in a blitz. This is usually a very well run blitz so all the players should have a good day out. Our outdoor hurling sessions continue again on Saturday morning the 18th April at our club grounds. These sessions will include under 6and 7 and will run from 10.30 to 11.30. Our under 9 team will train between the time of 11.30 and 12.30 at our wall ball. All are welcome to attend and it would be great to see some new faces. Helmets will be available to buy at a discounted rate at these sessions. 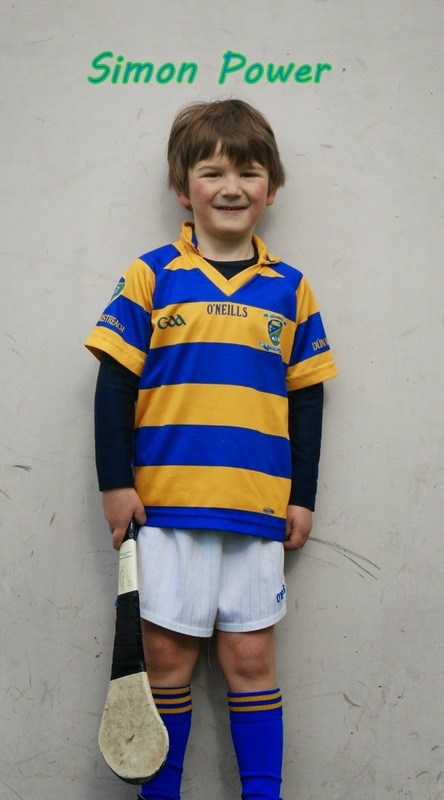 There will be no training for the under 8 team this weekend as they are taking part in a blitz. The annual GAA Cúl Camp will take place during the summer again this year. Online booking is currently available at www.kelloggsculcamps.gaa.ie. The deadline for applications for coaching positions is Friday, 17th April. All successful applicants will be offered positions by 29th April. 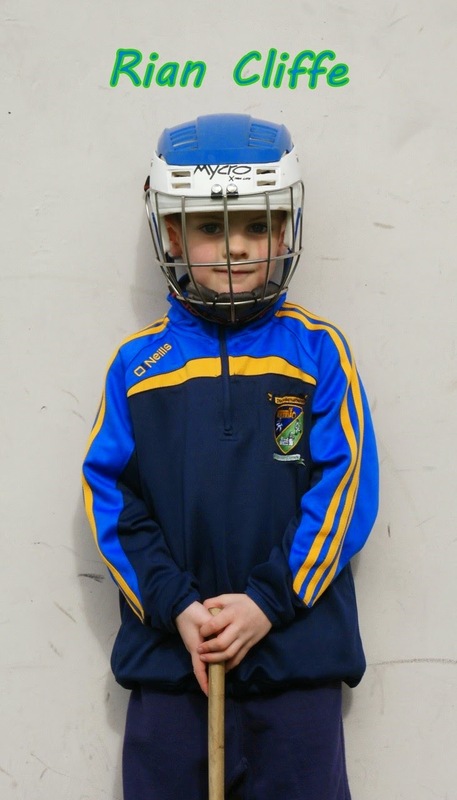 This year Waterford has been partnered with Wexford where one boy and one girl from the oldest group in the camp will be chosen to participate in a blitz day with 3 Waterford teams to play 3 Wexford teams. This day will take place on Tuesday 25th August in Carriganore between 4:00pm and 6:00pm.